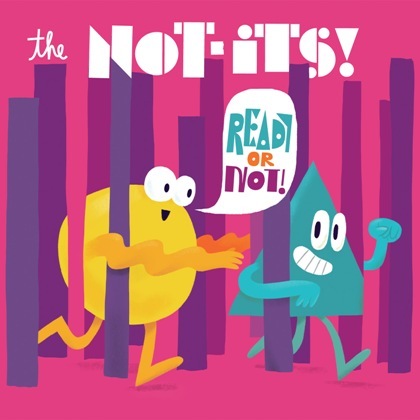 Following a national summer concert tour,The Not-Its! release seventh studio album on September 21. Twelve brand-new high energy original tracks will prepare kids for anything the school year throws at them. 7, 6, 5, 4, 3, 2, 1! The countdown is on for a new collection of rocking original tunes from The Not-Its! Whether they are dealing with the challenge of curriculum night at school, or a runaway bike, or getting buried in the tangled mess of lies, the 12 songs on Ready or Not! present a multi-layered sonic exploration of the adventure of childhood. Ready or Not! will be available on September 21 (Burnside Distribution). Digital orders are available now via Bandcamp, and CD orders are available from http://wearethenot-its.com/music/. The distinctive amped-up Not-Its! sound bursts out in these songs, thanks to bold harmonies by Sarah Shannon and Danny Adamson, thrumming drums by Michael Welke, rad guitar riffs by Tom Baisden, and tricky bass lines laid down by Jennie Helman. Produced earlier this year at Earwig Studios in Seattle and by Martin Feveyear on Vashon Island, the vibe is strong, steady and ready for anything.The cover illustration by Sub-Pop Records designer Jesse LeDoux is as whimsical and active as The Not-Its!’ previous six award-winning albums. Hailed by one recent critic as “your next kindie rock obsession,” this band’s ability to inside the head of a kid is evident on every track. Sensitivity shines in the ravy rocker “Staring Contest” and the soft, lullaby-like ballad “Heading Home” (a poignantly told from the perspective of a kid traveling solo “through the clouds” from one parent to another). The extreme kid-friendliness of these songs does not forget the sonic needs of grownups, with “sharp and witty lyrics and strong vocals on full display” (Popdose). The Not-Its! debuted the new songs from Ready or Not! at the Sub-Pop SPF/30 music festival in Seattle on August 11th and at Madison Square Park in NYC on August 15th. In addition to their Seattle and NYC shows, they are planning several more performances to celebrate the album release this fall. For at least a decade, The Not-Its! have rocked kids and families with their up-tempo albums and high-jumping live concerts that give children their first “rock show” experience. 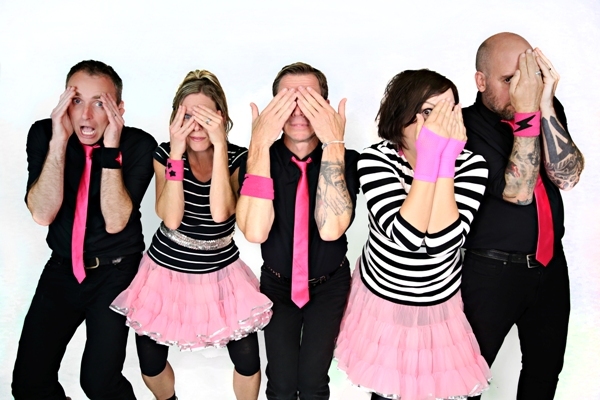 With the release of Ready Or Not!, this Seattle kindie rock quintet plan to bring children and their parents to their feet screaming for more, the moment they hit the dance floor. 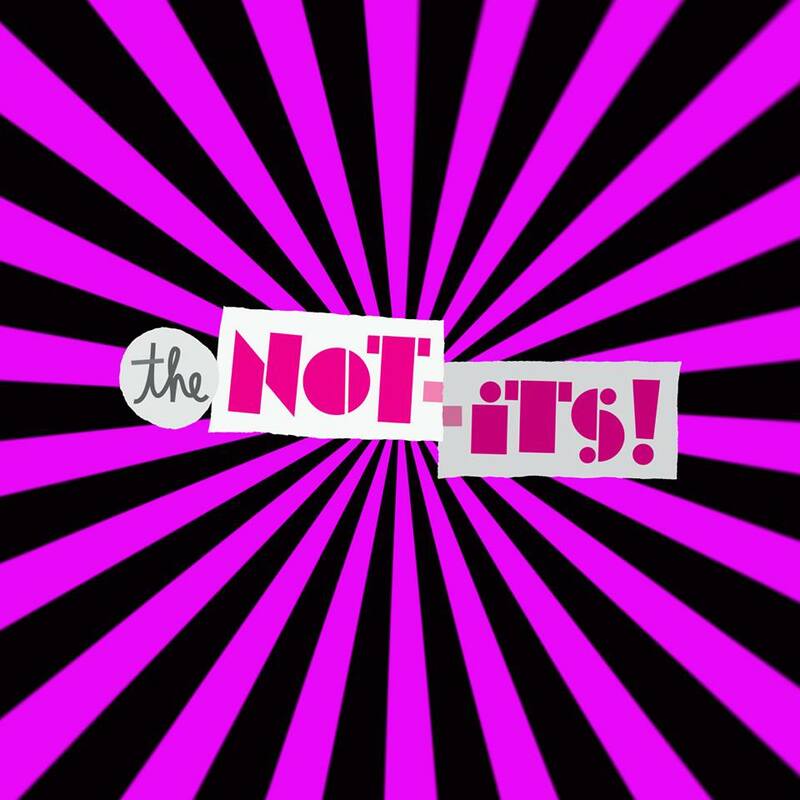 The Not-Its! can boast of real-life parenting experiences and accomplished musical backgrounds. Shannon was lead vocalist of lauded ‘90s indie-pop band Velocity Girl (on Seattle’s Sub Pop label) and has since recorded two solo albums under her own name. Rhythm guitarist Adamson has been a punk rocker and social worker involved for more than a decade with homeless youth—today he’s also a busy Seattle Realtor. Welke (drums), a former member of Harvey Danger, is currently working as a designer (his home was recently featured on HGTV). Guitarist Baisden is also a rock musician as well as an elementary school teacher for special needs children. Helman (bass) is an HR professional during the week. All together, this tight-knit band has 10 kids who often handle the “merch” table and perform onstage. For real-time interactions, fans may join The Not-Its! Nation on Facebook and Twitter.